Transparent Magnifying Glass in 4 different color variations. Simple flat design. Search concept. Vector Illustration set isolated on white. Magnifying glass isolated icon. Search for things. Linear magnifying glass icon from Education outline collection. 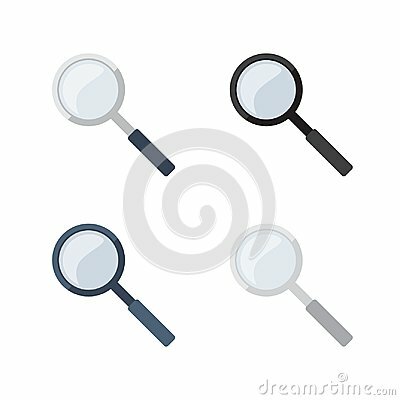 Thin line magnifying glass vector isolated on white background. Zoom icon vector eps10. Magnifier with symbol plus. Zoom icon. plus grey sign.